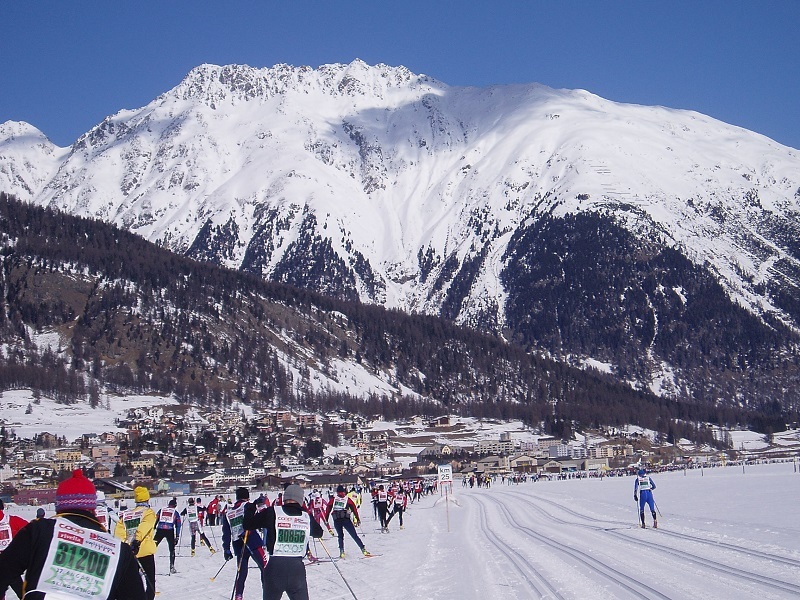 Engadin Skimarathon’s newsletter to the participants announces a change in the start arrangement. As of 2015 there will be 14 starting blocks starting with 5 minute intervals. The last wave starts 65 minutes after the first wave. IAWLS welcomes this improvement. For years we have pointed out to two kinds of inconveniences: crowding of the tracks after the start because of the too big start groups, and bottlenecks occurring 10 km after the start and even after mid-race. Both inconveniences can be eliminated by an adequate start arrangement. The new start system to be introduced in 2015 goes in the right direction. Experience will show how it improves the comfort of skiers. At least it will reduce the battle-field effect at the start, since the start waves will have less than 1000 skiers each. The bottlenecks along the course depend mainly on the total duration of the starts. If bottlenecks still occur, the only remedy is the extension of the total duration of the starts. IAWLS advocates the Ideal Start. It is essentially a continuous flow of skiers through a narrow gate, subdivided in “waves”. The start gate of each “wave” opens at a prescribed time. As the name shows, there can be no better system than the Ideal Start. It totally eliminates the battle-field effect of mass starts. The Ideal Start was adopted by Marcialonga and Jizerska Padesatka. Skiers are relaxed before the start. At the Engadin Skimarathon skiers could go to their start box in the last minute, instead of carrying their skis to the start field two hours before the start, walking back to the Maloja Palace and joining again the start area in time for the start (with the risk that it is often difficult to find the skis in a densely packed crowd).